The 2015 Penola Coonawarra Arts Festival – a highlight of South Australia’s Festival calendar – will be held from Thursday May 21 to Sunday May 24, 2015. The Penola Coonawarra Arts Festival a highly anticipated event on the regional arts festival calendar, and is the only festival of its type in the Limestone Coast. It attracts audiences from across South Australia and interstate and offers a variety of exhibitions, workshops, theatre productions and musical events catering to a wide audience. The Committee has spent considerable time creating a new look website, complete with images from past Festivals, details on how to become a Sponsor, and the full programme of events. Committee Member and Graphic Designer Sally McDonald said it was designed to be more user friendly for visitors and the community to keep up to date with the Festival. “Visitors to the website are invited to join up to receive newsletters on the Festival, or become a ‘Friend of the Festival’, whilst looking at previous winners of the keynote event, the John Shaw Neilson competition and other images from past Festivals,” said Ms McDonald. “Entry forms to Festival competitions – including the John Shaw Neilson Acquisitive Art Prize, Design Prize and Literary Prize – are all available on the website,” she said. “The official events programme will be on the website by the end of March, once it is all finalised”. The website is also linked into the new Penola Coonawarra Arts Festival Facebook page which the community is invited to follow to receive up to date information in the lead up to the Festival. 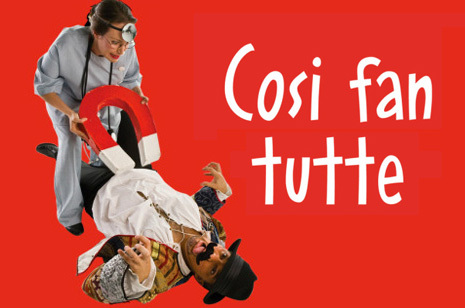 Co-Opera’s new touring production of ‘Cosi fan tutti’ is set to be one of the major drawcards of the Festival. Held in Penola’s Rymill Hall, the relaxed Cabaret event offers a fun night of entertainment in Co-Opera’s uniquely vivacious and irreverent style. The perennially popular Children’s Programme will again offer a refined range of workshops, art and craft activities and events aimed at both young children and early teens, the majority being at no cost to audiences. Sunday’s Family Show will feature Jeff Achtem from Bunk Puppets presenting his award winning shadow puppet show titled ‘Sticks Stone Broken Bones’ –which turns household junk into surreal live cartoons. It has been a sell-out sensation at theatres and festivals throughout the world, has recently returned from a successful run in New York, will be appearing at Adelaide Fringe and has won a number of Fringe awards. On Sunday May 24, Penola’s historic Petticoat Lane will offer a “Stroll Down the Lane” event including a display of Vintage Cars, an antique stall and pop up shops, coffee van, food and music. The full programme of events will be released in March. For more information on the 2015 Penola Coonawarra Arts Festival or to find out how to become a Friend of the Festival, visit www.artsfestival.com.au or Like us on the Penola Coonawarra Arts Festival Facebook page to keep up to date.